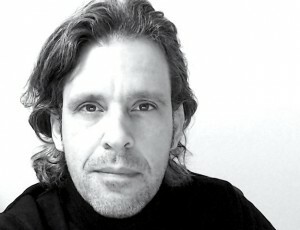 Peter Zobel is a writer-director and show concept designer with a portfolio that covers work for the media, event and show industry as well as the theatre. His creative production office “zobel: film stage concept” is currently based in Berlin, previously located in Munich, Dusseldorf and Amsterdam. Zobel has gathered vast experience with international corporate shows, keynotes, press conferences, management meetings and product launches. He has served clients from the consumer electronics, camera, automotive, software and machinery industry. A storyteller at heart Peter Zobel is a multidisciplinary craftsman. He is up to date with the latest technologies, known for shows interweaving cutting-edge multimedia with traditional film and theatre elements. He has directed circus shows, writes theatre plays and teaches as a guest lecturer at academies in Germany and the UK. Zobel graduated from the Feature Film Department of the German National Film School HFF in Munich after studying literature and theatre. His film work has been aired on public television and shown on international film festivals. Raised in Japan attending international schools Zobel is trilingual and valued by clients for his cross-cultural, diplomatic skills on international projects.